On November 9th, 2017, SPRING/Uganda shared results of our pilot project for the first time with government and private sector representatives from the micronutrient powder (MNP) technical working group. A local implementing partner from Namutumba district also presented on the ongoing use of MNPs after SPRING’s pilot ended. During the meeting, the working group discussed and validated an implementation guidance document, which will be used for future scale-up of MNPs. Click on the photos to view as a slideshow. 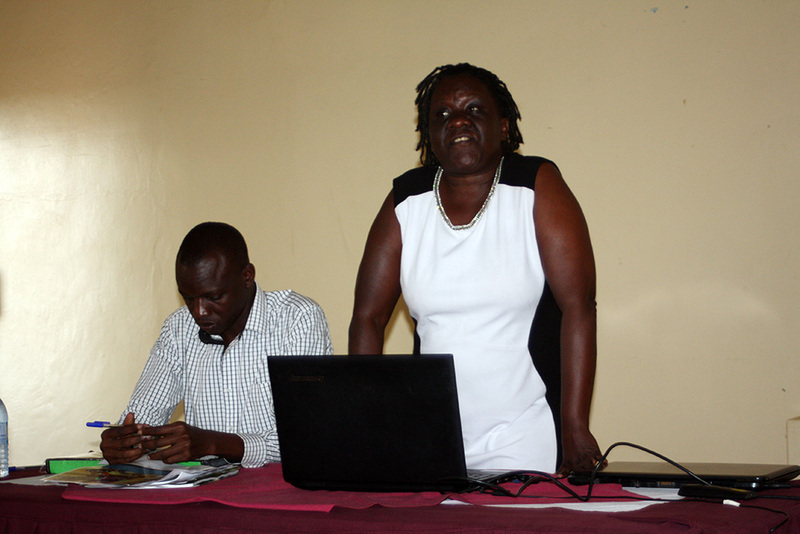 Senior Nutritionist with the MOH, Sarah Ngalombi, opens the dissemination meeting with the Regional Nutritionist for Jinja General Referral Hospital, Toko Mansur. 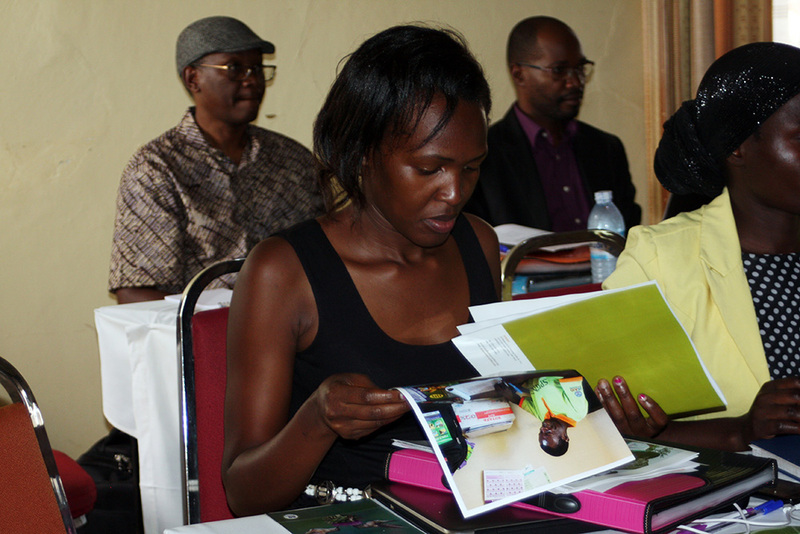 Goretti Kyebajia, a health facility staff member from Namutumba district, reviews the MNP materials. 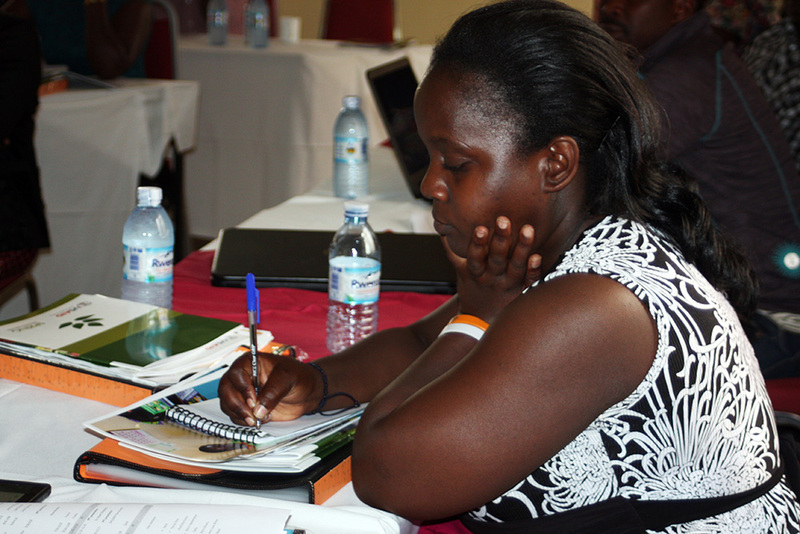 Antonia Kiro, an intern at the MOH, takes notes during the MNP dissemination meeting. 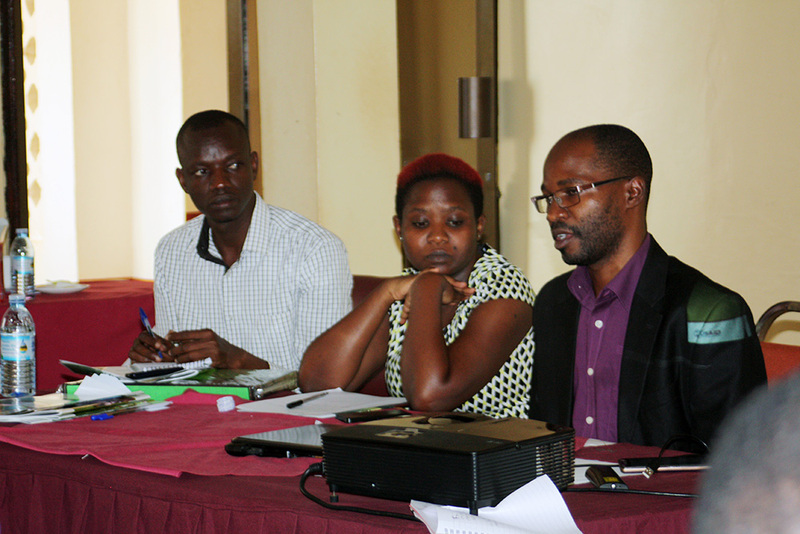 Toko Mansur and SPRING staff members Rose Nakiwala and Francis Ssebiryo participate in a panel discussion. 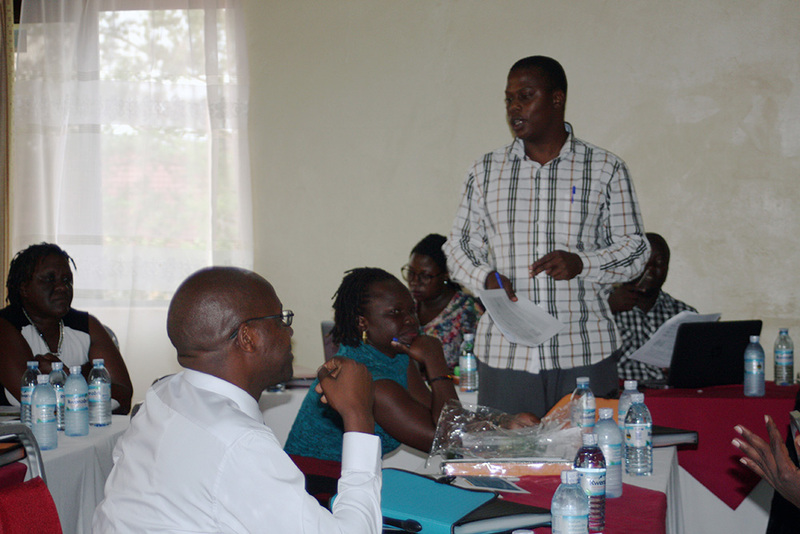 SPRING/Uganda Chief-of-Party Robert Mwadime gives an overview of the results of the MNP costing study. 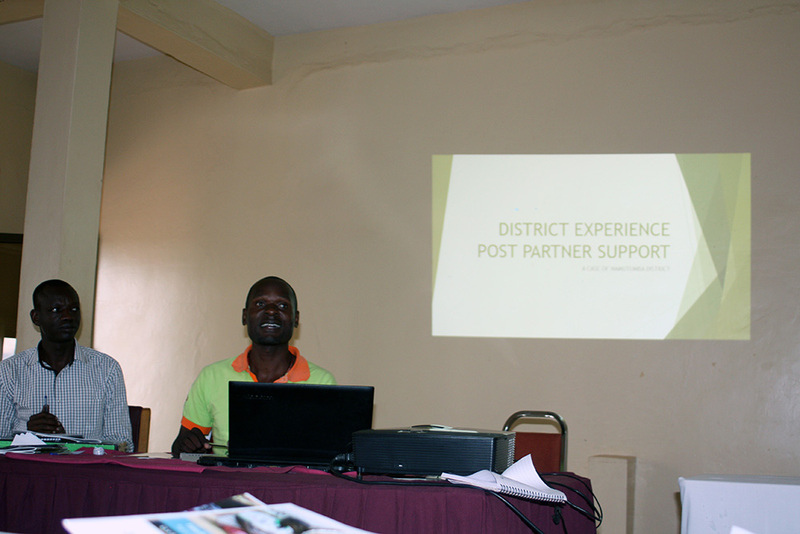 Siminyo Sabiti from Namutumba district (Magadi HC III) giving a presentation on implementation after the end of the SPRING pilot. 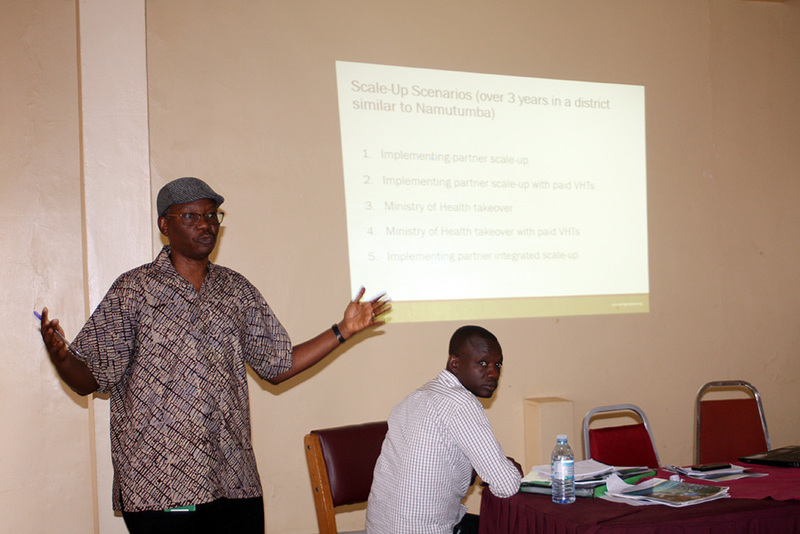 Martin Bulamu, Monitoring and Evaluation Officer at the Ministry of Health, giving a presentation. 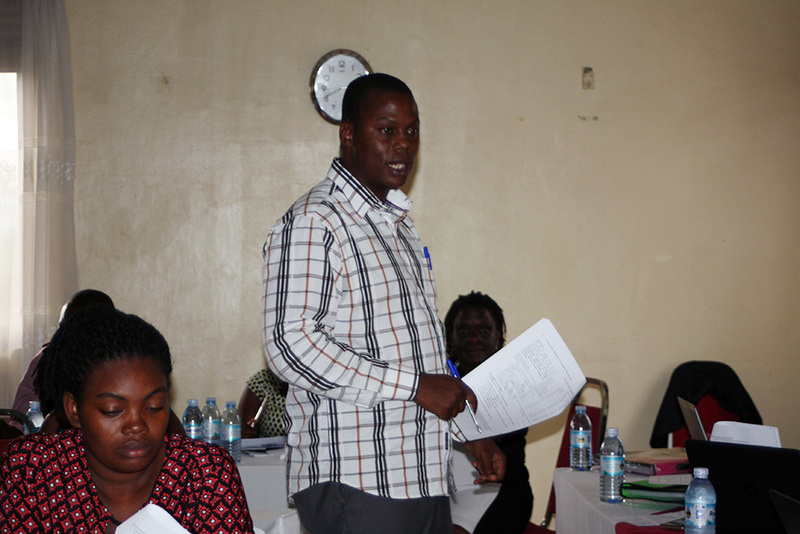 Martin Bulamu leads the discussion for the validation of the MNP implementation guide. 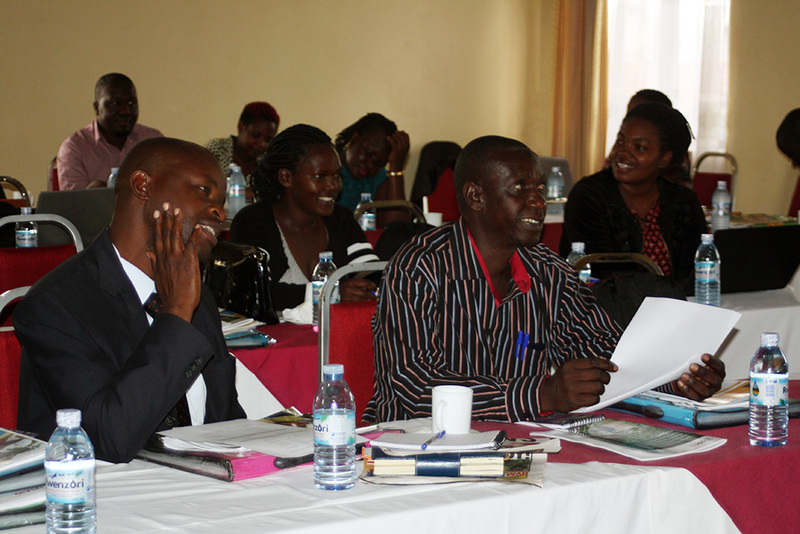 The audience discusses the MNP implementation guide.